China’s securities regulator has signed off on a new type of mutual fund designed to help individuals invest their own money for retirement. The approvals underline the government’s interest in helping individuals contribute more to their own retirement savings as the population ages and the state-run pension system shows signs of strain. China Asset Management Co. Ltd., China Southern Asset Management Co. Ltd. and 12 other asset management companies have become the first fund managers to receive approval to issue the “pension targeted funds,” the China Securities Regulatory Commission (CSRC) announced on Monday. Market watchers had expected 10 to get the go-ahead. The “pension targeted funds” resemble target retirement funds offered by Vanguard and other big money managers in the U.S. These managed mutual funds are specifically designed as vehicles to grow individual investors’ retirement savings. 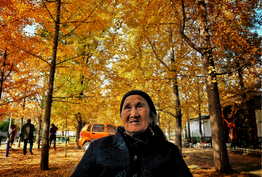 China’s pension system is facing a huge funding gap due to the aging population. 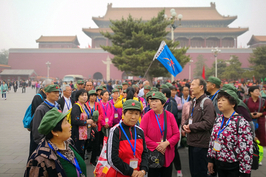 At the end of 2017, China had 241 million people over the age of 60, accounting for 17.3% of the total population. Generally, a population is considered to be aging when 10% of its population is over 60. 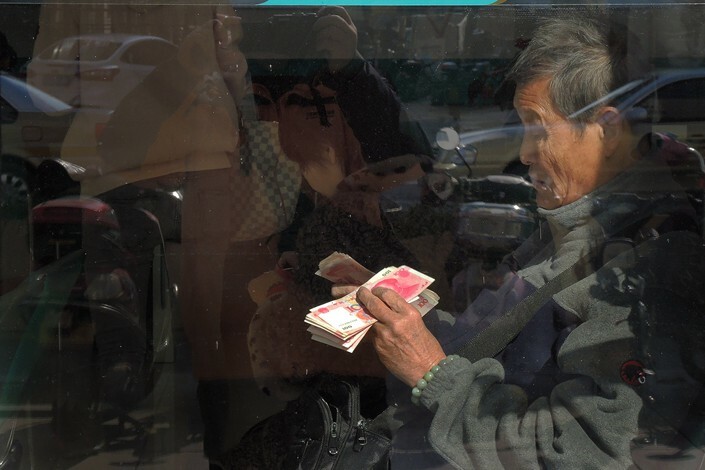 At the end of last year, China’s citizens had set aside an estimated 7 trillion yuan ($1.03 trillion) for retirement, either through their own savings or through government pension funds, according to Dong Dengxin, director of the Finance and Securities Research Center at Wuhan University of Science & Technology. Dong noted that the amount is not nearly enough to cover the country’s 1.4 billion people. 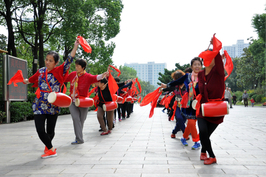 To meet the funding gap, China has vowed to bolster support from state-owned enterprises, and start a program (link in Chinese) in February to build up a commercial pension market that provides more channels for individuals to save for retirement. The 14 approvals were part of that latter goal. Among the 14 funds, nine funds are designed to be “target-date funds” that mature at predetermined points in the future, such as 2030, 2035, 2038, 2040 and 2043. The idea is that an individual investor chooses a fund with a date closest to his or her expected retirement date. These funds are designed so that managers gradually shift investors’ money from riskier assets to safer assets as the fund approaches maturity — and as its investors approach retirement. This allows investors to benefit from the higher returns of riskier assets while they are younger, while reducing their investment risk as they get older. These funds all have lock-in periods ranging from one to five years, during which time investors can’t withdraw their money. The other five recently approved funds are “target-risk funds,” which are designed to earn higher returns based on an investor’s tolerance of risks. However, it remains unclear whether Chinese investors will take to these funds because they don’t offer the same tax incentives as their foreign counterparts. Li Yimei, general manager of China Asset Management Co. Ltd., said such products in the U.S. allow investors to invest the money in these funds as they see fit and typically provide a tax break on the returns earned.